Why Choose Business Insurance from Quotedevil? At Quotedevil, we understand the need for comprehensive protection that comes through when things go wrong. We promise to make the process of buying business insurance as easy as possible for you. We have highly experienced specialist teams with easy access to markets and specialist underwriters. Our business insurance policies are tailor made specifically for your business and your pocket. We also provide a first class before and after service, with a dedicated account manager on hand to assist you should you require it. Public Liability insurance generally covers your business if a third party is injured in some way by your business, or if you damage their property when carrying out your work. It is important to remember that Public Liability is not a legal requirement, but with the increase in Personal Accident claims, it is vitally important for both you and your business to have protection in place, should the unthinkable happen. 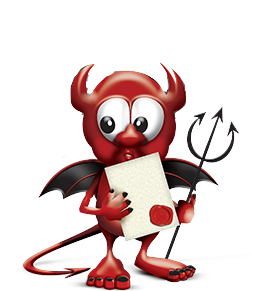 Quote Devil offer stand-alone Public Liability policies for a variety of businesses. Here at Quote Devil, we offer Public Liability insurance and Professional Indemnity insurance for your business, offering you a cost-effective and easy way to protect you and your business against risk. Whether you are a dance or drama teacher, a language tutor, a yoga, gym or fitness instructor or even if you offer courses in health and safety, BER Rating, manual handling or read tarot cards, we can tailor an insurance package that suits you. Our public liability insurance is completely flexible, allowing you to teach from multiple venues, either to small or large groups of students. The policy can even be extended to cover performances and recitals if you wish, and we can indemnify any organisation on it, ensuring that you have total piece of mind to get on with what you do best. Call 01 969 6231 Now! Whether you own a small family farm or a large commercial farm, Quote Devil understands that protecting your farm and your income is of paramount importance. We offer cover for your house and contents, livestock, farm outbuildings and contents, farm machinery, produce, farm vehicles and employees all on one policy, with affordable premiums and easy payment plans. With a dedicated account management team ready to assist you, we can build a specialised farm insurance policy for you, giving you piece of mind and the reassurance that you have a safety net beneath you should things go wrong. Whether you are sole trader or a limited company, Tradesman insurance is a vital part of your business. Just as manual handling and safety statements are a core element of your work, so too are your policies. We offer both Employers Liability and Public/Products Liability policies for over 100 types of trades including landscapes gardeners, builders, plasterers, electricians, plumbers, blocklayers, car valeters, window cleaners etc. We can tailor your policy for you, taking into account the types of contracts you have, the height and depth limits you may need and even allowing you to use burning and welding equipment. We can even Indemnify the Principal on all of our liability policies, thus ensuring you are totally compliant with all the terms of your contracts. Whether you own a small gift shop, a bridal boutique, a pet shop or a small convenience store, we have the experience to provide you with the best shop insurance quotes on the market today. We offer cover for your employees, for public liability, for your stock and contents, freezer cover, money cover and glass cover, all at an affordable price with easy payment plans and a dedicated customer service and account management team to advise and guide you. With the rise in popularity of the health and fitness industry, it is imperative that you protect both your business and yourself in the event of an accident or claim. We offer holistic business cover for everything from Personal Trainers to Tarot card readers, ensuring you can work both at home and at other locations, safe in the knowledge that your Public Liability policy will follow wherever you go. Are you a charity looking for cover for a one off event? Or are you organising a public exhibition that you need public liability insurance for? How about a play, a small concert or a walking festival? Here at Quote Devil we have a wide range of Event policies available, covering everything from music recitals, dance competitions, music & drama events and charity fundraising events.